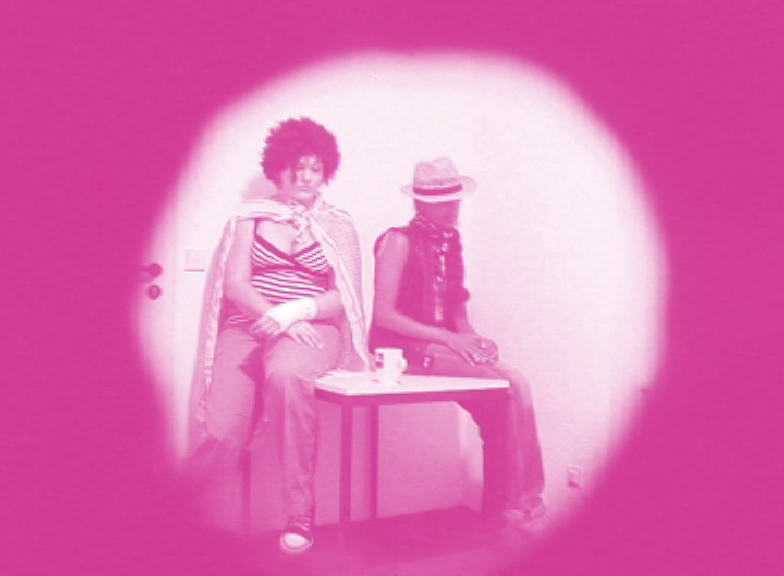 In 2006, The Schwules Museum Berlin presented the performance art exhibition Intimate Spaces. Guest curated by the artist collective postspace, this exhibition invited international performance artists to create week-long, live, interactive performances during the museum’s opening hours. Intimate Spaces was situated inside the small Kabinett room within the main exhibition space, where the exhibition Paradises was on display. In seven weekly rotations and three special events during the Lange Nacht der Museen on August 26th, the participating artists created new site-specific environments and invited the museum visitors to become part of the performances that they developed within this intimate space. 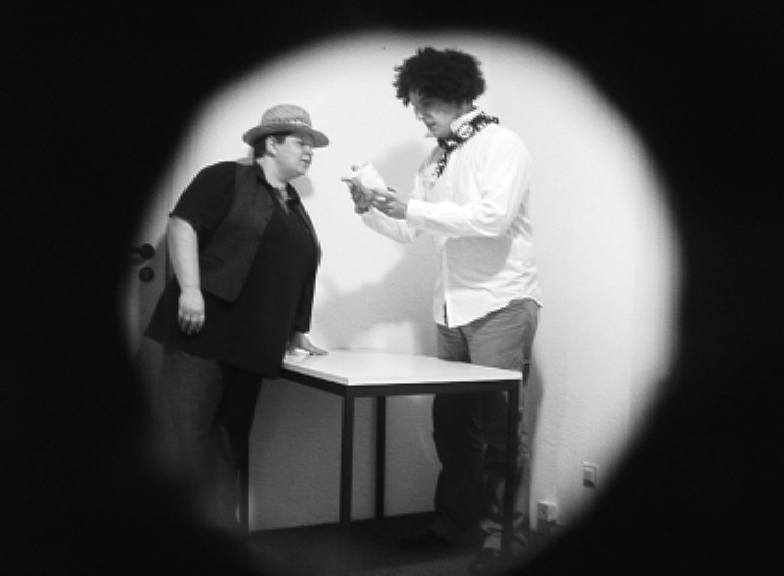 In Goodbye, Ashery invited visitors to spend time with her, role-playing and improvising a scenario about being left by a partner. In the scenarios the person who leaves writes a goodbye note on a coffee mug. The museum visitors were encouraged to participate by entering the room and interacting with the artists, thus taking part in the creative process that leads to the realization of the artwork. The intimacy and success of these performance works rely on the input and involvement of the museum visitor, who has the possibility to take on new roles and meanings, and to allow a variety of new relationships, connections, and meanings to emerge. Through these processes, the traditional concepts of the museum visitor and the ritual of museum-going are transformed and brought into question. The exhibition Intimate Spaces presents varying perspectives of present-day identity politics, and will be a contemporary and performative complement to the historical and artistically classical material on display at the Schwules Museum.